Fulfill your passion for horses and people through the equine facilitated therapeutics (EFT) program at Wilson College. This major equips students with the latest therapy techniques that use horses to promote physical and emotional growth in people with special needs. People with physical, cognitive and emotional challenges including ADHD, autism, depression and PTSD can benefit greatly from interaction with the horse as a therapy animal. 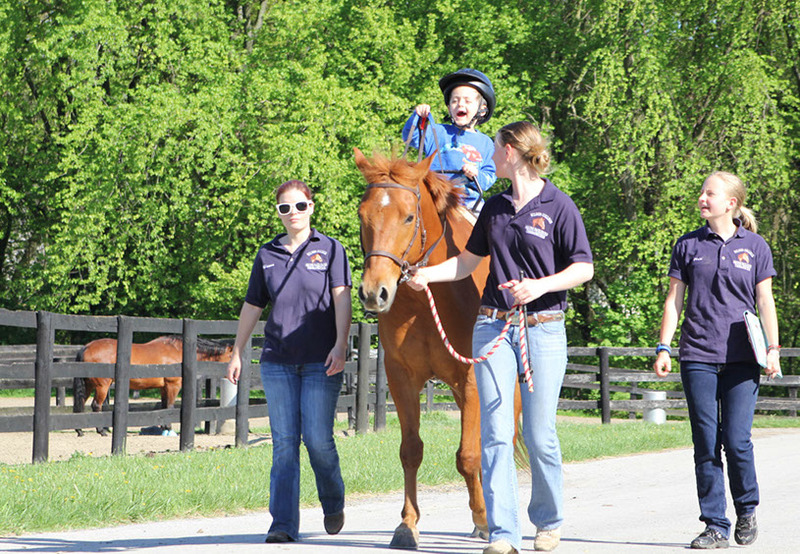 By pursuing a career as an equine therapist, you will have the opportunity to help both children and adults build confidence and independence in with a unique, hands-on approach. The equine facilitated therapeutics major combines students’ knowledge of the horse with an in-depth study of the use of the horse as a therapeutic partner. Classes combine traditional lecture periods, structured hands-on laboratories and simulated, as well as actual, student teaching. Wilson College is a North American Riding for the Handicapped Association (NARHA) member center.